Parenting is hard work. Every parent or caregiver hopes that childhood and adolescence could be a carefree time in their kids’ lives. Unfortunately, this isn’t the reality for many children and teens. Kids without resilience are at risk for cognitive, emotional, physical and social issues as they grow up. Fortunately, building resilience skills to thrive is possible despite these challenges. Resilience, or the ability to adapt well to adversity, trauma, or stress, can be learned. APA is committed to improving the health and wellbeing of children, youth, and families, and has created a new resource, the Resilience Booster: Parent Tip Tool. Research shows that parents who get and stay involved with their kids early help to develop secure attachments, healthy emotion regulation, and good interpersonal skills. Whether you’re a new parent or an old pro, the Tip Tool lists small things you can do every day to boost resilience in your children. These tips are based on psychological research that has shown improvements for kids’ development and they are informed by the Oxford Handbook of Poverty and Child Development (Malholmes & King, 2012). The Tip Tool notes the importance of establishing family routines, talking about emotions, modeling self-control, and sharing problem-solving strategies with your child to develop resilience. It also outlines how community resources, schools, and daycares can support your child’s developing resilience. Share it on social media with fellow parents, babysitters, teachers, mental health professionals and community leaders. Hashtag it with #resiliencebooster on your Facebook, Twitter, Instagram, and Pinterest posts. Share your tips and photos of what you use as a #resiliencebooster with your own kids. 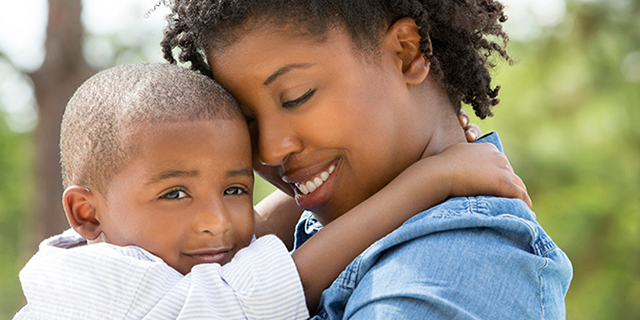 Follow our Mother’s Day Pinterest board for more parenting and resilience resources. Pingback: Bambini alle prese con stress, difficoltà e traumi. 6 suggerimenti per potenziare la loro capacità di affrontarli. I think that making kids feel safe, and protected at a child care is really smart. It would seem that going to these places and see how they work would tell you how safe the place it. I need to do that before my kids go to child care.